1.Beautiful red rose flower atop a green stem. 2.These Roses are PERFECT for Valentine's Day. 3.Show Your Love, by Lighting up her heart with our led roses. 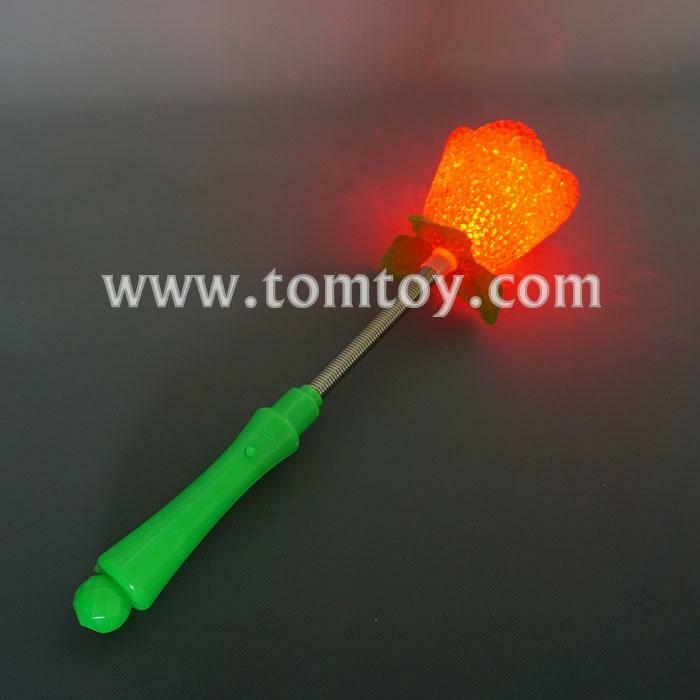 4.A red LED bulb in the center of the flower flashes red light, lighting up the flower. 5.Push-button switch on the base - press to turn on / off.